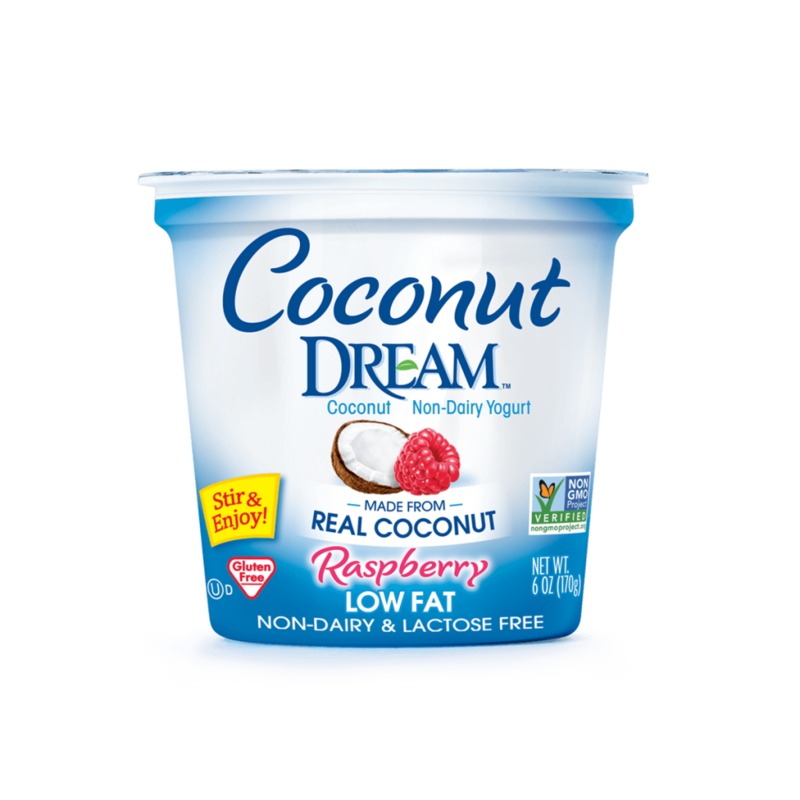 Coconut DREAM™ Raspberry Non-Dairy Yogurt proves that coconut and raspberries are a great combination! Enjoy alone or with your favorite toppings. COCONUT BASE (WATER, COCONUT CREAM), RASPBERRY BLEND (WATER, EVAPORATED CANE SUGAR, RASPBERRY PUREE, NATURAL RASPBERRY FLAVOR, FRUIT AND VEGETABLE JUICE CONCENTRATE FOR COLOR), EVAPORATED CANE SYRUP, STABILIZER BLEND (CORN STARCH, TAPIOCA MALTODEXTRIN, PECTIN, LOCUST BEAN GUM), TAPIOCA FIBER, TRICALCIUM PHOSPHATE, CULTURES*, ANTIMICROBIAL (FROM CULTURE). CONTAINS: COCONUTS. *CULTURES: L. ACIDOPHILUS, BIFIDOBACTERIUM LACTIS, S. THERMOPHILUS, L. DELBRUECKII.